View more about Starheel Properties, Inc. This small Sunset Beach mainland community is within easy access to the quiet andpopular Sunset Beach. Of course, Myrtle Beach is located within minutes and includes lots of area activities, including water parks, miniature golf, popular restaurants like Greg Normans, shops, Carolina Opry, and Broadway at the Beach to name a few. My family loved staying here. The condo was very roomy, the kitchen was supplied with everything we needed, the pool was clean and very close to the beach with public parking. Highly recommend. Thanks for the great experience. Easy booking too! I liked the unit. It was very well and thoroughly furnished. It is an end unit and therefore has windows on three sides which lets in a lot of light. It was very bright and cheerful. The unit overlooks the pool. The complex in which the condo is located is very nice also. The complex has kind of a residential feel more than a touristy kind of feel that you might find at the actual beach. Many people own their units and live in them year-round. Some own their units and rent them out. My family absolutely loved are stay here! It was very well maintained, extremely clean, and well equipped! The location was not too far from the beach, dining, and shops. We would definitely stay here again. The condo was very nicely decorated and had everything our family needed for the week. Pool area was also very nice, and we made good use of it. Beautiful condo! 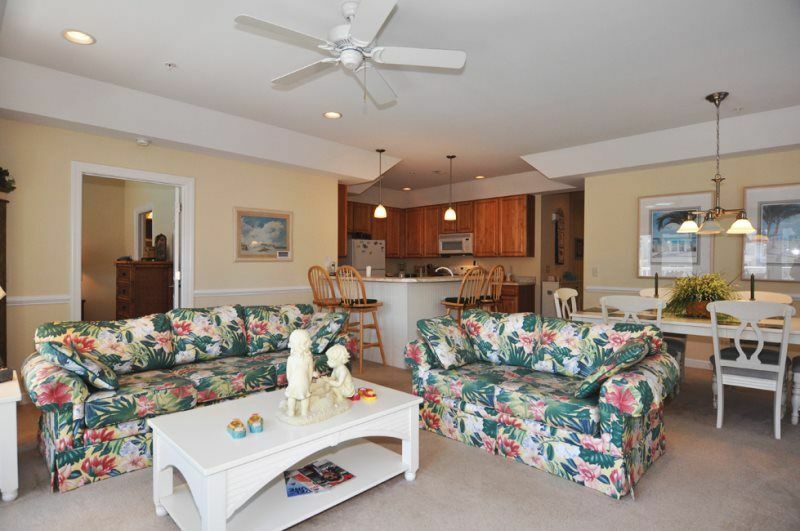 Great accommodations and close to the beach. Condo was very clean, roomy and comfortable for my family. We will definitely be coming back! Very nice and clean place. Great location with ample room for a family. The carpet has some normal wear but the condo is very clean. There is an elevator, which was nice when carrying heavy luggage. I did not cook but the kitchen seemed well stocked for meal preparation. I would definitely stay here again and would recommend this location to friends. Beautiful three bedroom condo in Colony II overlooking outdoor pool. Across from the waterway, condo community is within minutes to Sunset Beach Bridge. March 1- September 30 - $675/week $100/nt. Special monthly and off season rates. Snowbirds welcome.